Subaru set out to manufacture the best crossover option for adventurous individuals on the go, and in 2012, the XV Crosstrek was unveiled at the New York International Auto Show. The all new crossover featured a four-cylinder engine with enough horsepower for good towing capabilities, all while maintaining superb fuel economy. The XV Crosstrek is the perfect vehicle for those hauling bikes, big dogs, and camping gear from one adventure to the next. The 2015 XV Crosstrek did not receive any major changes for its newest model year, but it did gain a new base trim level, with a long list of new features at an affordable price. For those who want ultimate luxury at an affordable price, will be happy with the high-end XV Crosstrek Limited model. The XV Crosstrek Hybrid is an affordable solution for those who seek a vehicle with a smaller carbon footprint, and stellar fuel economy. Regardless of which XV Crosstrek you choose, the 2015 model has your busy lifestyle covered. 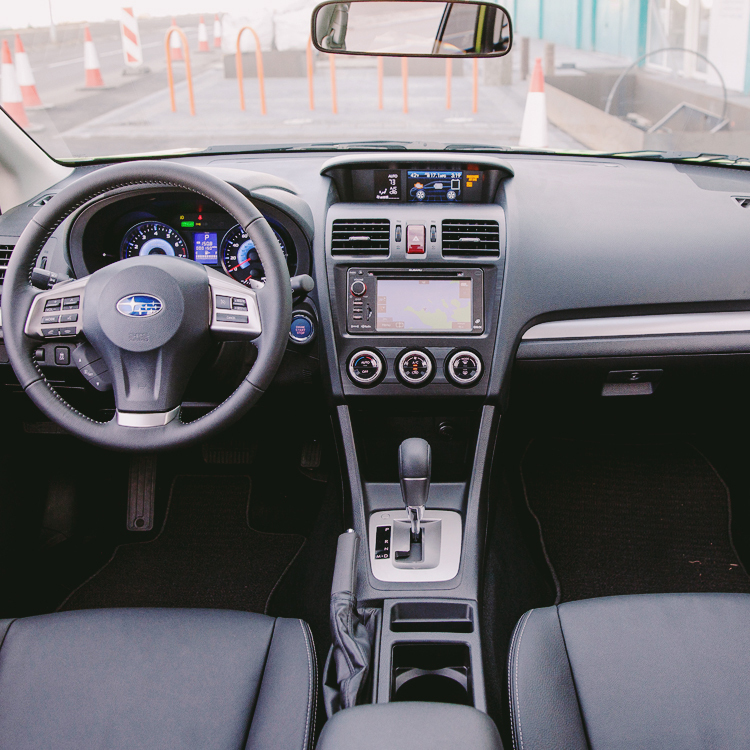 Subaru values the needs of their drivers, and that is why they put every effort into ensuring that every detail of their vehicles are meticulously designed and crafted. When Subaru designed the 2015 XV Crosstrek, they added an all new base trim level, to help meet the needs of even more drivers. Designed with ultimate comfort, safety, and practicality in mind, the 2015 XV Crosstrek 2.0i is an affordable, well-equipped option, for those who seek the most out of their vehicle. Starting at just $21,595, the 2015 Subaru XV Crosstrek 2.0i, is the most affordable trim level available. The XV Crosstrek 2.0i comes standard with a 2.0-liter Subaru Boxer four cylinder engine, and a five speed manual transmission. With an impressive 148 horsepower, and 145 lb.-ft. of torque, the 2.0i can tow up to 1,500 pounds. Despite its impressive power and performance, the XV Crosstrek 2.0i still manages to be classified as a Partial Zero Emissions Vehicle, and achieves up to 31 mpg on the highway, and 23 mpg in the city. The exterior of the XV Crosstrek 2.0i comes with impressive standard features for the price. Drivers will appreciate the standard fog lights, rear spoiler, black folding side mirrors, body colored door handles, and a raised roof rack. The list of standard features on the base 2.0i trim level doesn’t end with exterior features. The interior cabin comes standard with just the right amount of standard features. A 6-way manually adjustable driver’s seat, cloth upholstery, and silver metallic accent trim, all lend themselves to a comfortable and pleasing interior cabin. A multi-function display keeps driver’s in the loop, with important information such as average speed, driving time, distance to empty, and average fuel economy. The included 6.2-inch Starlink multimedia system with smartphone integration, will help drivers and passengers stay connected on the go. Drivers will also stay safe and rest easy, with the standard rear-vision camera on the 2015 XV Crosstrek 2.0i. Power driver windows, side mirrors, and door locks, help make day to day driving tasks seamless. The XV Crosstrek’s all-new base trim level gives drivers everything they need, and nothing they don’t. While the 2015 XV Crosstrek 2.0i has a great list of standard features for the price, those who seek the most in their vehicle, will be happy with both the amenities and price of the high-end Limited XV Crosstrek model. Starting at just $24,795, the 2.0i Limited model has absolutely everything you need, and want. Subaru left nothing out when they designed this model, allowing for the ultimate adventure, with the ultimate luxuries. The exterior of the XV Crosstrek Limited model is stunning. Featuring 17-inch aluminum alloy wheels with a dark gray machined finish, this model is eye catching from every angle. Auto on and off headlights, heated body-colored side mirrors with turn signal indicators, and a windshield wiper de-icer, help the Limited model stand apart from the rest. As a part of the Limited’s included all-weather package, this high-end model also features heated front seats. A leather-wrapped steering wheel, a leather wrapped shift knob, and leather trimmed upholstery complement the XV Crosstrek’s interior comfort and style. A full color 7-inch LCD display with Starlink Multimedia Navigation system helps drivers stay connected and informed. The entire cabin will keep comfortable with the automatic climate control system, and can keep their electronics powered up with the rear 12-volt power outlet and dual USB ports. The rear cargo tray and retractable cargo area cover, will ensure that your items are stored properly, and out of sight. For those who seek even more convenience and safety, an optional keyless access with push-button start, and Subaru’s EyeSight driver assist technology, are both available as optional features. Coming in just $3,000 more than the base 2.0i, the 2015 XV Crosstrek 2.0i Limited is an exceptional value, packed full of amenities. Nowadays, being environmentally responsible, far exceeds turning off the light when you leave the room. For those who feel a larger responsibility to Mother Earth, more needs to be done. Subaru created the XV Crosstrek Hybrid to fulfill such a purpose. Where most hybrid vehicles fall short, the XV Crosstrek performs. Featuring impressive capability, and incredible fuel economy, the 2015 Subaru XV Crosstrek Hybrid is where practicality, and functionality, meet. Not only will you feel confident that your carbon footprint is reduced, but the XV Crosstrek Hybrid is built in a zero-landfill plant - meaning that one-hundred percent of waste is recycled or turned into electricity. Drive everywhere, completely guilt-free, knowing that your XV Crosstrek is leaving less of an impact on the environment than other vehicles. Starting at just $25,995, the XV Crosstrek Hybrid gets up to 34 miles per gallon on the highway, and features a hybrid electric drivetrain. Available in a base and Touring trim level, the XV Crosstrek Hybrid offers the right amount of standard features to satisfy every driver. Despite its low fuel economy, the XV Crosstrek Hybrid gets even more horsepower and torque than standard XV Crosstrek models. The 160 horsepower and 163 lb.-ft. of torque electric motor, features a six-speed manual mode with paddle shifters, and vehicle dynamics control. Everything about the 2015 XV Crosstrek Hybrid, is designed for the perfect ride. Whether environmentally conscious, or wanting to save some money at the pump, the XV Crosstrek Hybrid is the answer.